Although choosing a right study abroad program for your child is never easy, it does however provide your child with several opportunities. Whether your child is in College or in a post graduate program, there is always a study abroad program they can benefit from. Sitting down with your child and discussing where their interest lies, can help them decide what program to opt for while studying abroad. Parents need to take into account several factors before they send their children for a study abroad program, factors such as academic concerns, housing, cost, and safety are just some of the areas you and your child should consider as you research programs. You can find out more about a specific program by browsing through University websites or by looking at brochures. While every study abroad program differs from the other, your child will be given a platform to not only be independent but to also be responsible. Mentioned below are other areas that parents need to consider before sending their child for a study abroad program. Would your child prefer to live in a small town or rather have a big city experience? 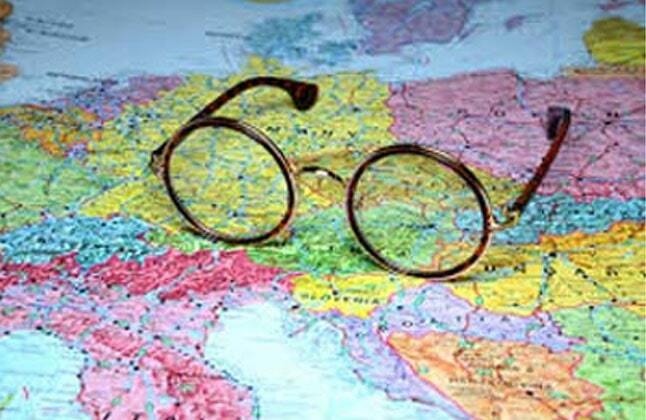 Location is one of the most important factors to consider when choosing your child's study abroad program. Your child's location will greatly affect their time abroad, and will also allow them to make the most of their time there. One of the reasons you should consider studying abroad is all the traveling you will get a chance to do. You will get to visit a brand new country with different people, customs and language. During your free time, you can always engage in some local sightseeing and explore the museums. Do something that you've always wanted to do in a foreign country. You can make the most out of your new city by studying abroad. When deciding your child's study abroad program, sit down with your child and discuss with them what exactly it is that they wish to accomplish in their study abroad program. Do they want to familiarize themselves with the local culture or gain some kind of work experience? This is the first step towards choosing a study abroad program. While choosing your child's study abroad program, ensure that your child's academics meets with the program's admission requirements. Eligibility requirements vary by program, ensuring that your child meets all of these requirements is a step closer towards your child's studies abroad experience. Most programs offer scholarships to candidates depending on their academics. Ensure that you know what scholarships your child can be eligible for. There is a good chance of receiving aid if your child has applied for several scholarships. Consider the various options that are available to your child. Look at other study abroad courses and find the ones that best suit your child's needs. It is also essential that you and your child look into subjects that the programs include, certain subjects are titled differently at times however, you can always get in touch with the University and check the subjects that are available. It is important to note that study abroad programs will not cost the same for all countries. The cost of pursuing a study abroad program in one country will differ from the other. Be sure to check that tuition fees, housing expenses and travel costs are all covered. By keeping aside a budget for your child, you will be able to systematically plan all of your child's expenses. While deciding on a program for your child, it is essential to know the type of teaching approach and assessment your child will have. As a parent, you will want to ensure that your child receives the maximum support during their study abroad program. Consider what methods of teaching and assessment will allow your child to reach their full potential. While choosing a study abroad program for your child, do your own research on the various courses and programs. Going through our website will help you with relevant information. This will guide you in choosing the right course for your child. There are several aspects that need to be taken into account when deciding on a study abroad program. Most programs abroad have an application process that may require documents from your child's University / College. By researching programs ahead of time, you will be able to ensure that your child has had sufficient time to prepare. Choosing a right study abroad program can help build your child's future career. Speaking to people who have pursued courses that your child is interested in can guide you on how your child can benefit from it. If your child is open minded about a career, this will be the perfect opportunity for them to try out new things.